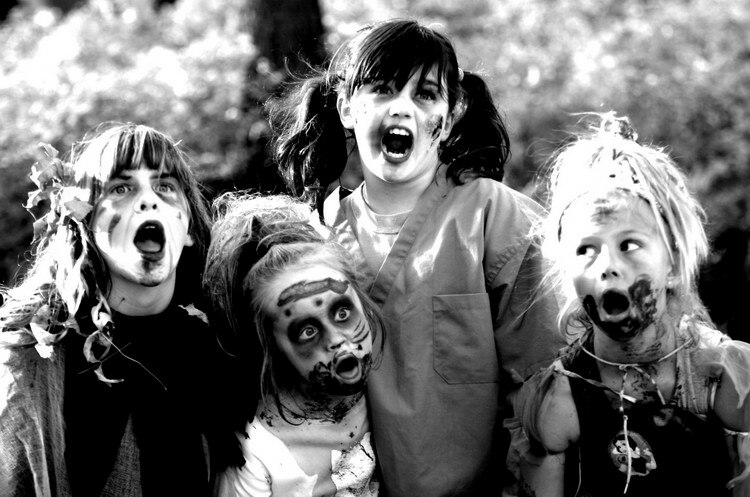 According to cultural theorist Steven Poole, bad ideas are like zombies. “You can try to kill them, but they just won’t die.” Anyone who teaches writing has certainly faced a horde of bad ideas about writing—from soulless assertions that machines are good at assessing writing to infectious ideas about digital writing and the denigration of literacy. These bad ideas threaten to infect our schools and devour the brains of unsuspecting colleagues and students, and it is up to us to rev up the chainsaws and bury bad ideas about writing for good. Lucky for us, there’s a new weapon to help in the fight against the undead. And it’s cheaper than a gallon of gasoline or a molotov cocktail! Edited by Cheryl Ball and Drew Loewe, Bad Ideas About Writing is a free, open-source textbook published by the West Virginia University Libraries Digital Publishing Institute. Organized in eight sections that each focus on a different contagion like mindless meditations on style and ruinous ruminations about ineffective writing teachers, Ball and Loewe plunge us into the epidemic and provide sixty-one antidotes—short chapters that help us take out one bad idea at a time. The chapters are roughly five pages each, pint-sized but potent, and they help both the novice writing teacher and the experienced writing program administrator to identify particular walkers, to understand their origins and appeal, and to slay them with recent, relevant research in rhetoric and composition. As a new writing program administrator, Ball and Loewe’s arsenal has come in handy. I’m fighting bad ideas about writing from multiple directions—students, graduate teaching assistants, and faculty from across the university who seem to always ask “Why can’t our students write?” Since there’s safety in numbers, I decided to assemble a survival team from the ranks of my graduate seminar at the University of Rhode Island titled “Teaching College Writing.” While some of the graduate students had extensive experience teaching writing in secondary and post-secondary contexts, others were brand new to the writing classroom, and I was excited to see how this book could both confirm and challenge what the students and I believed to be true about teaching writing. We scanned the table of contents together as it provides a microcosm of research areas in the field of Writing Studies. Then I asked the graduate students to choose chapters that most interested them—to read, summarize, and discuss how the chapter complicated their understanding of writing and writing instruction. Some students reported that the chapters gave them language for the things that they knew to be true exclaiming, “Ah ha! I knew that grammar drills didn’t improve student writing, but I didn’t know why!” Others had a more difficult time imagining the paradigm shift that one must make to embrace the idea that there is no such thing as “good writing” and that “good writing” can’t be taught in generic terms without a deep understanding of the rhetorical situation—audience, purpose, and context. Over the course of our semester, we returned to Bad Ideas About Writing in our discussions, connecting other research and scholarship in writing studies to the big ideas in Ball and Loewe’s collection. What surprised me, however, was how the graduate students remixed the book into their own first year writing courses. After hearing about the ways they were using the book to talk to first year students about the purposes, practices, and intentions of our Writing 104 course, I asked them to reflect on their experiences with the book. Their reflections, gathered in this collection, demonstrate that with the right tools, used artfully in the right places, we can prevent the contagion and protect the humanity of writers and writing teachers. Check out the ongoing series of student reflections on Bad Ideas About Writing at The Current, the National Writing Project’s open publishing platform for educators. Awesome! Drew (Loewe, btw) and I loved putting he collection together and are so happy to see grad students taking it up in this way. Thank you! One very bad idea about writing is how some teachers unknowingly respond to student writing by telling students what’s wrong with their writing rather than modeling how students can read their own writing in order to revise.